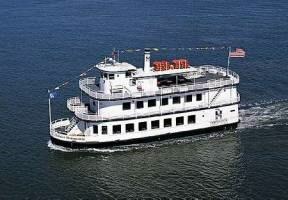 BKF Dinner Cruise Tickets on Sale Now! Join us, for the best after party afloat! After two great days of kite flying we will board the Empress Hornblower Dining Yacht on Sunday August 1st, for a magical dinner cruise, awards banquet & silent auction on the San Francisco Bay. An Empress Hornblower dinner cruise typically costs $100.00 or more but as a Berkeley Kite Festival VIP you can join us for only $59.00 per person. That’s almost half off the regular price! The Empress sails directly from the DoubleTree Hotel Dock.